The marina has 24 recently renovated slips for rent! The slips are available for rent at Seasonal or Weekly rates. Each slip can accommodate boats that are up to 38 feet in length. Electric and water hook-ups are available at all the slips. Shower and bathroom facilities are available for boaters. 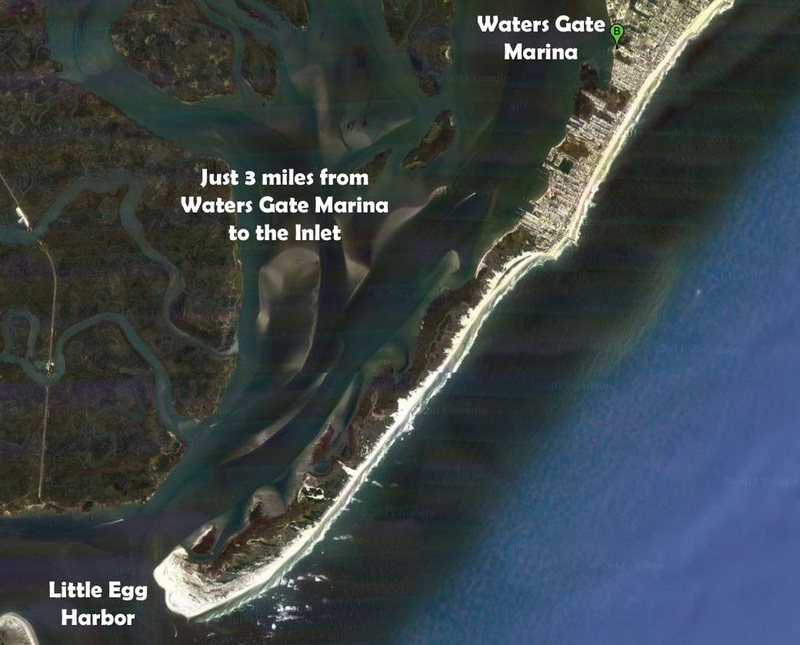 Waters Gate Marina is conveniently located on the southern end of Long Beach Island (on the border of Holgate and Beach Haven, NJ) and it sits on Little Egg Harbor. By boat the marina is less than 15 minutes from the inlet and about 45 minutes to Atlantic City.